» What would You choose? I'm finally planning to upgrade my rig after half a dozen years or so. Im rocking a GTX 1080TI right now (which I'm planning to keep). Im mainly aiming at upgrading the second group only. So, what would you choose in that category if you were in my shoes? Plus, even if you would choose to upgrade other stuff, do mention. I am willing to spend a budget in the range of 1500$. I would definitely keep the GTX 1080TI, I also have one it is still rocking any game. -CPU: 9600K (just to let you know I have 9700k and my brother 9600k and both have the same FPS in the games we play, the 9700k is like 140$ more and not worth it for gaming, unless you have some production work to do). -PSU: Seasonic Focus Plus Platinum 750W fully modular (https://ayoubcomputers.com/gaming-power … 0-w-550-w/) you can go for 850W but I think 750W is more than enough for a single card build. -RAM: G.SKILL TridentZ RGB Series 16GB DDR4-3200 RAM or Hyperx 16GB 3600 MHZ. All of these will cost you a max of 900$ so you are still way below budget, if I were you I would upgrade the monitor to a 144 Hz . I would put aside this 1500$ and upgrade the full system in 2-3 years. As your current system is in a good standing for now and the upgrades you stated will not have a huge impact on performance. Nevertheless I would consider getting a good monitor if you have to scratch that itch. Are you hitting performance issues? Why not invest this money on quality of life, like a better desk or an ergonomical chair (these can be very pricey)? I disagree with you about this statement, I had an i7 4790 paired with a GTX 1080ti, I made an upgrade to 9600k (of course, with new motherboard and RAM) it was a day and night difference for me in terms of FPS and performance overall, later on gave the 9600k to my bro and got myself a 9700k and I had zero improvement in games. My 4790 was bottlenecking the GPU, I believe it is even worst with the i7 2600. Calculate the fps increase per dollar. The 1080ti is a very competent card and I feel like it would last you years and years to come. Does your i7 bottleneck it? For sure. Is it worth upgrading all the way to a high-end 9 series CPU? Probably not. What I would personally suggest is if most of your preferred games are CPU-bound. If they are, I would look into online benchmarks of recent CPUs of various price ranges coupled with your 1080ti to see how much the FPS fluctuates from one another. I would then get the one that provides most FPS per dollar (remember, you will hit a diminishing return at some point). If you avoid a K processor and get a regular one, you'd save up a lot both the CPU and motherboard (in case you don't have a preference in the feature sets that it provides. & upgrade to the following to make you relaxed for couple of years ahead since any upgrade need to have a positive ROI & enhanced gaming experience. i7 8700k or i5 9600k , as the I7 2600k (Heavily OverClock even will bottle neck any moden high to high end graphic card especially on the min fps). You have a decent AIO you can OC the i7 8700k / i5 9600k on the future too , they are great OC'iers. A 2 by 8 DDR 4 3000mhz Ram ( Such as the Gskill Trident Z RGB) - Expandable along the road to 4 by 8 - another 2 by 8. In addition to lower latency on HDR 10 games as HDR as gaining more momentum in the pc gaming world. Pascal use a none dedicated SW pipeline to process HDR ; while Turing Uses a dedicated HW pipeline. Note 1: All items are available locally - checkout PC & Parts. Note 2: The CPU , Rams & Graphic Card I suggested are great for such monitors resolution & refresh rate. Anything older than 5 years is obsolete. 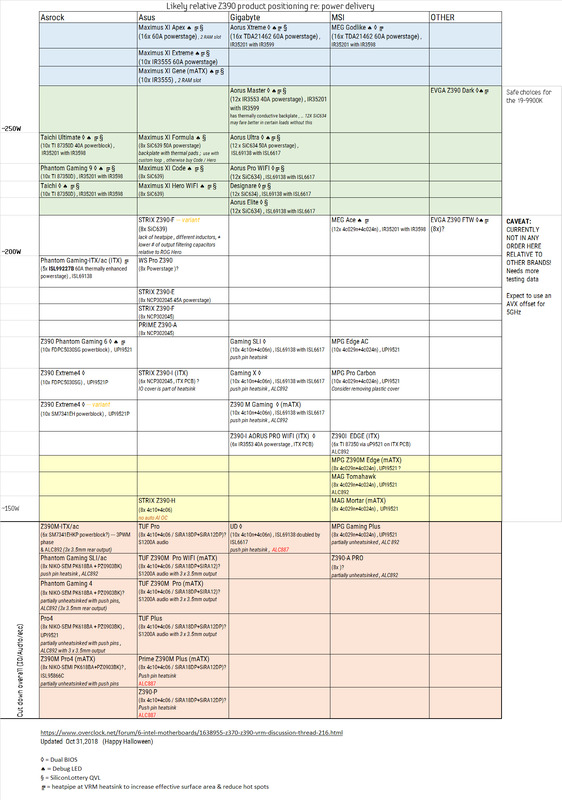 Go for a CPU/Mobo/RAM upgrade. Get an NVME ssd as well. Performance is is night and day compared to a SATA SSD. If the money allows, go for a 2K 144HZ monitor. The 1080Ti can easily run AAA games at 2K res with 100-144 fps. When is the last time you have seen someone getting excited about an ergonomical chair? Any suggestions regarding the topic, by the way? I really need a proper chair however I might move and have to sell it again. - It is good to aim for more then 5 years anyway, it is better for the environment, you will probably end up with a better build quality and materials than if you go for the cheap options and change it every few years, and if you decide to sell your gear after 5 years it will still have some resale value. I believe that increase in computing needs has slowed down in the latest years. Nowadays you can daily use a 10 year old system, something which was definitely not possible 10 years ago. However if you are into gaming, then this does not necessarily apply. Playing at 100+ fps is the best upgrade I've had. But the problem with that is that your cpu won't be able to keep up probably. So I suggest you'd sell the ram, mobo, cpu, and get better ones plus a new screen. I'll try to respond to each and everyone's input. But first, I forgot to mention that I'm not planning to sell the current cpu / mobo combo because I have an extra GTX 980 lying around and I'll make a new system out of those. Plus, for the monitor, currently I am very happy with my monitor ( have been from the moment I got it like 4 years ago) so a new monitor would be a future upgrade, not for now. So going on with the responses. I have my mind set on the 9700k, and maybe even the 9900k. Now you could say that for gaming they're overkill, but I don't want to cheap out on the cpu like I did 5-6 years ago when I bought i5-3570 non k. (later on I switched that with the i7-2600 of my brother because of problems that occurred). Anywho, as you can see, it's a single upgrade I'll be doing every 5-6 years, so I'm ok with spending extra on the cpu. I'll look in to your other suggestions for ram and board and psu. I might end up changing my case even. Dont you think 6 years of waiting for an upgrade is enough? Yea I am hitting performance issues, and like some users said the cpu is indeed bottlenecking the gpu. In pubg max fps I'm getting is 60fps on 90Hz with a 1080ti. Regarding your suggestion for chairs / desks, I made a purchase decision long ago to get a dx racer sentinel series for which I regretted a lot. The chair is annoyingly uncomfortable, every time I sit, the lumbar cushion gets all the day down and I have to pull it up everytime plus the U shaped neck pillow is also very uncomfortable. Im not planning to upgrade the gpu that's for sure. 1080ti is still a strong card. But as mentioned, I don't want to cheap out on the cpu, it's only a one time upgrade every 5 years lol. Im keeping the 1080ti bro. 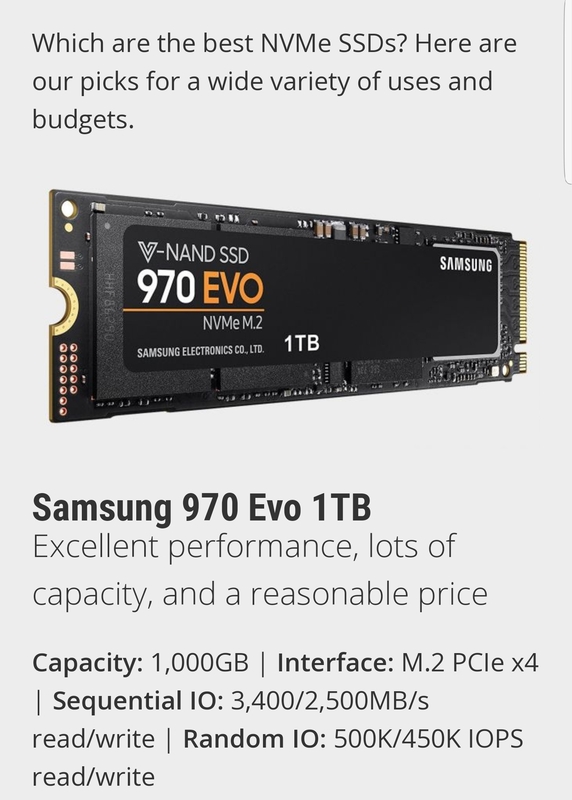 I guess an nvme ssd should be included. But for the monitor, not now. Yea cpu is a bottleneck, which is my entire reason for the upgrade. But I'll keep the monitor for now. Image quality on it is great, plus i have it on 90Hz. I've seen people use ultra wide high end monitors for 100Hz refresh rates, the difference is not a lot between these two. I just wanted to hear some of your opinions before doing so. Once my semester finishes, I'll start preparing my internet for the Google searches and YouTube reviews and prepare / calculate everything so that I can finally pull the trigger after a long wait of 6 years!! @AVOlio since you mentioned PUBG, I used to have have 90-110 FPS on my 4790 / 1080TI combo with some FPS drops in crowded places when you first land to 50-60 FPS and now I have 170-200 FPS (without any FPS drops) on my 9700k / 1080TI combo which is a huge improvement, that's why it is also recommended to upgrade your monitor to at least 144 HZ since it wont keep up with your build. On a side note PUBG is one hell mess of a game, poorly optimized and not really suitable as a benchmark, but I just wanted to share my experience with this game's performance. I'd say 9700K is the best of both worlds in between the 9600k and 9900k, and since you will probably upgrade in another 5-6 years then the i7 is more future proof. In case you decide to go for the 9900k make sure you pick a motherboard with decent VRM phases to handle that beast. What monitor do you currently have? Also, the fps results that you got is assumingly on 1440p right? However there is a lot of better options in the market at the moment, so mine is kind of outdated compared to those now. Also I am talking about 1080p resolution and not 1440p. What do you guys think about This so far? And what does it mean in the warning at the bottom? When I use the M.2 slot, will one regular sata slot actually be disabled? You need to look at you board spec sheets. M2 SSDs are Sata 3 that share bandwidth with Sata 3 ports on the board. Go M2 NVME it will take bandwdith PCI-E @ 4x speed. Keep the Samsung 860 EVO Sata 3 & drop a Samsung 970 EVO NVME PCI E x4. What about Intel next Gen cpu's? Any idea when is the release date? From a quick search online, it's called cannon lake? Later on i can get an nvme SSD. Do you recommend the Intel 660p that pcandparts have in stock now? Mutiplayer I play like games pubg and Battlefield. Single player, basically any sort of triple a title that comes out, I play it, like far cry, fallout, middle earth shadow of war, tomb raider and any other games that I find interest in playing. Also, and I forgot to mention this in my first post, but I have an HTC vive. And even though I'm not using it now, when I finally graduate, I'm gonna set up a specific room for it and start playing VR. I already own fallout 4 vr. I was already somewhat thinking that, If I buy the msi carbon pro Ac motherboard instead of the Meg ACE and save a bit on the mb choice then I would add that extra amount to the cpu and get the i9 9900k. i9 9900k is the fastest mainstream gaming cpu with 8C/16Th with the 1st two cores running at 5Ghz turbo boost & the 8th Core running at 4.7Ghz turbo boost. That is excellent for single threaded gaming performance and games that scale well on more than 5 cores , a double win with out any OC. Note: As I discussed in my i9 9900k thread , to OC the i9 9900k the VRM of the board need to be solid - both in the VRM Amp & VRM Stages. The i9 9900k needs some good power when OC'd , therefore for a sustained good OC without any VRM thermal or power cpu throttling. As for the NVME choice the Samsung 970 EVO is top notch in R/W speeds & highly recommended choice in the industry.